It is considerably more detailed than the previous version. It also includes an opportunity to sign up for the protos newsletter - the first edition of which will be ready next week. 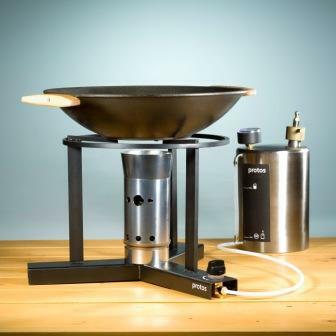 We will be updating the site consistently with new information as we make progress on our market introduction of the protos plant oil cooker. Please feel free to comment on the content of the site. I am pleased to take suggestions on additional information that may be helpful or desired as well as any inaccuracies that need correction (no one's perfect). I will take all suggestions under consideration, but please also be aware that various restrictions may limit my ability to implement them. Protos. The Plant Oil Stove. An Initiative of Bosch and Siemens Home Appliances Group.